Note: Headgear Clips are not included. Universal headgear for the ResMed Mirage™ Series CPAP Masks, including: Mirage Micro, Ultra Mirage II, Mirage Activa, Mirage Activa LT, Mirage SoftGel, Ultra Mirage Full Face Mask and the Mirage Quattro. 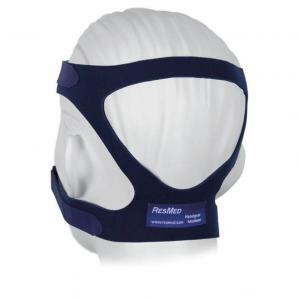 Please note that headgear clips are not included with this products and must be purchased separately. Length is measured from end to end with the tabs folded.